Sydney Lai's vision is to democratize society's access to emerging technology and entrepreneurship. 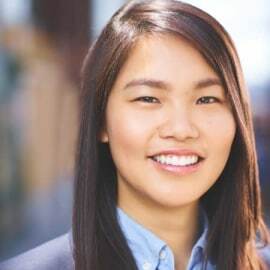 As a community leader building startup ecosystems, she has worked in accelerators, venture funds, financial services, SaaS, government, cryptocurrency, virtual reality, and space industries. As a digital marketer with an award-winning background in sales and business development, Sydney grows products and services users want. Passionate about emerging technologies, she is a startup advisor and relationship builder. Sydney has spent the past four years with Techstars mentoring and running accelerator programs, having come across hundreds of startups. Sydney Lai has been named an LGBT Technology Leader by The White House, Office of Science and Technology Policy. She is a TEDx Speaker on creating innovation and has appeared in TechCrunch.